I need to admit right away that there isn’t terribly much skill involved in this recipe. 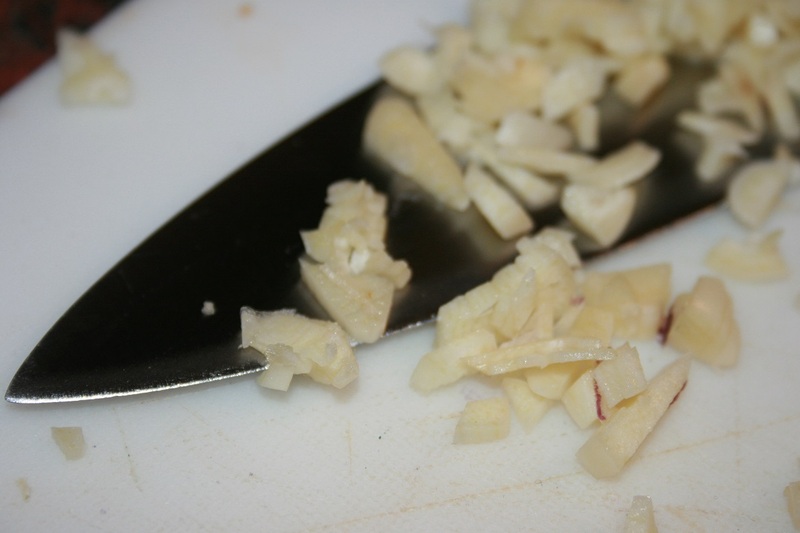 In fact all you need to get it right are some chopping skills and a good dollop of patience. Although it’s an easy recipe, it’s not a quick one. 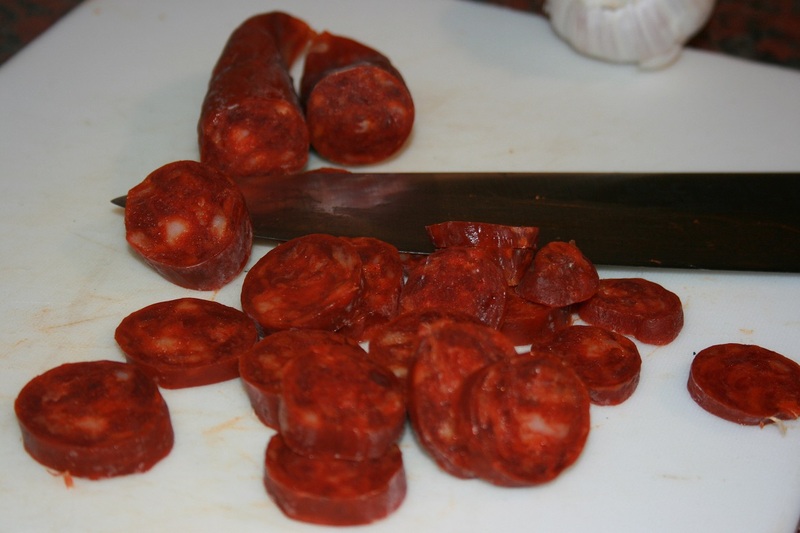 In fact it does take quite a bit of time, but when it’s a blustery, rainy day outside it is a recipe that is very soothing, both to prepare and to eat. You know how stress reliving punching a punching bag and imagining your boss/landlord/noisy neighbour/the guy who cut you off on your way to work’s face can be. 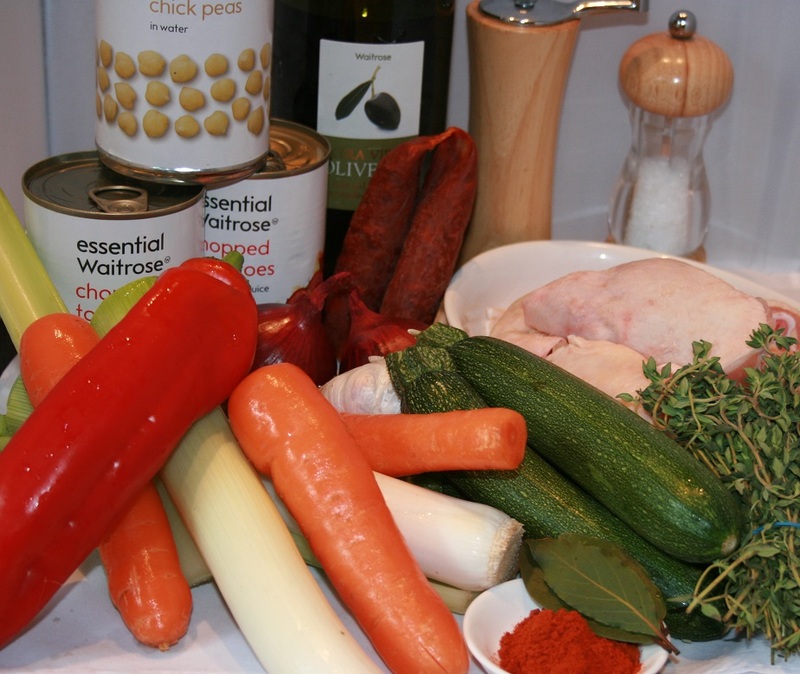 Well with this recipe there is an awful lot of chopping and trust me imagining the face of you boss/landlord/noisy neighbour/the guy who cut you off on your way to work under your knife is ENORMOUSLY stress busting. Fresh Thyme (to taste) and a Bayleaf or two. 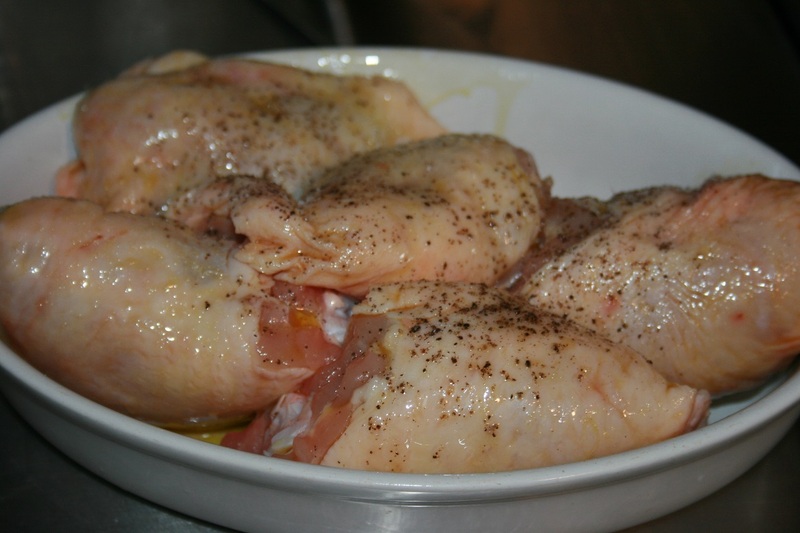 Rub the olive oil into the chicken breasts and season them with salt and pepper. Heat your largest wok and place the the chicken skin side down in the pan. Cook on both sides for ten to fifteen minutes until the juices from the chicken clear and the skin is golden and crispy. 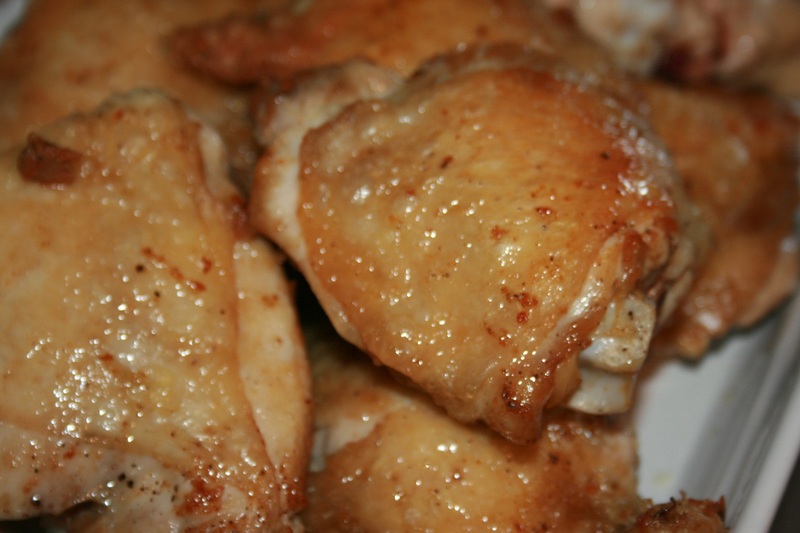 Remove the chicken from the pan, but leave the oil that has been rendered from the chicken in the pan. 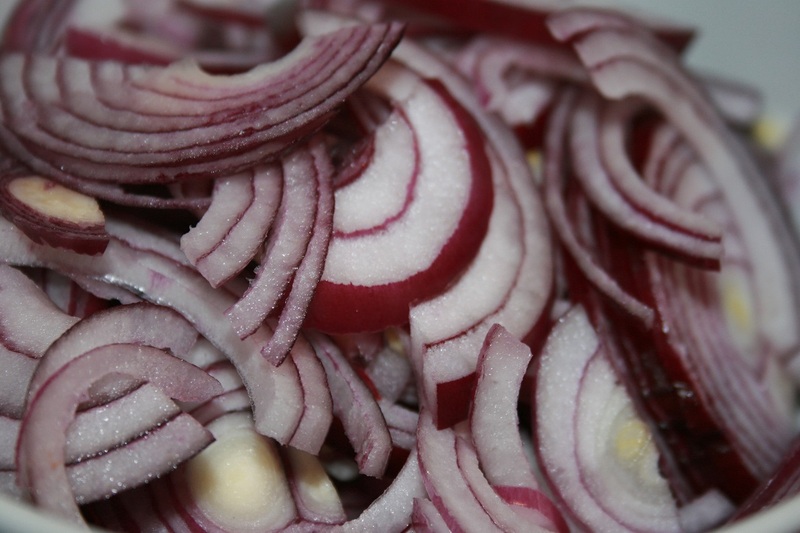 Finely slice the onion imagining your boss/landlord/noisy neighbour/the guy who cut you off on your way to work’s face under your knife. 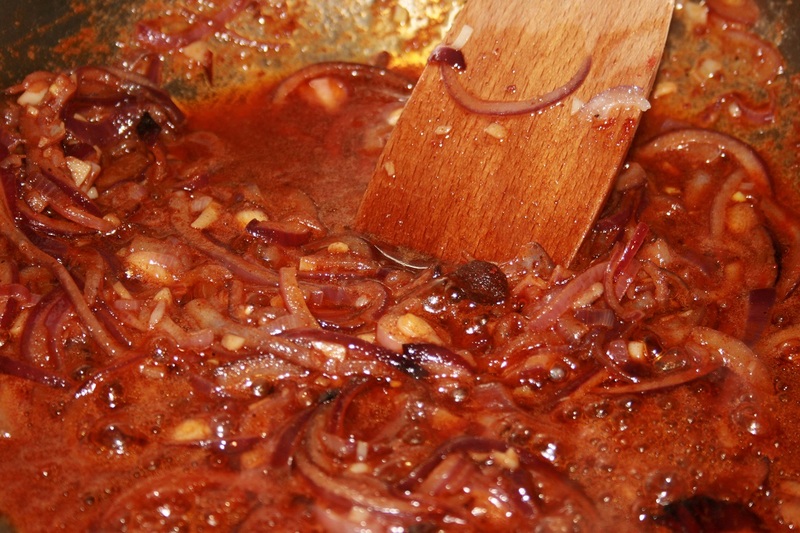 Add the smoked paprika to the onions and leave to simmer and then chop the rest of the vegetables. 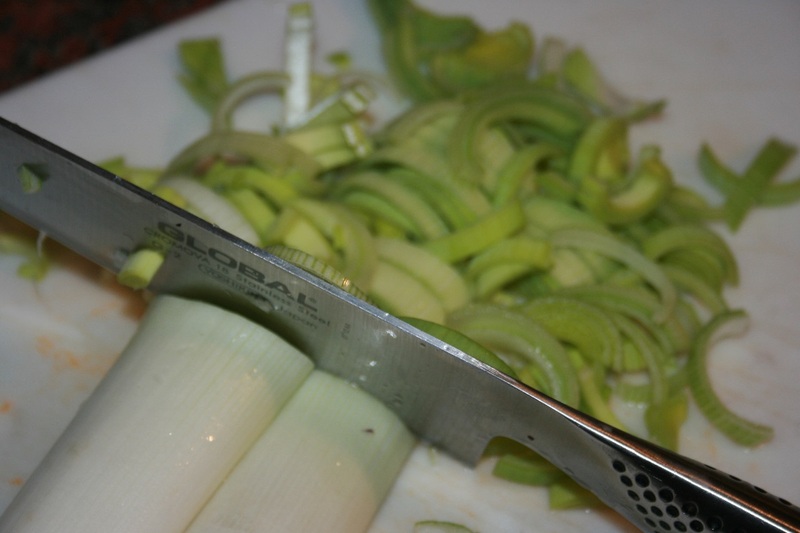 Chop the leeks and celery into very fine pieces. Dice the carrots. 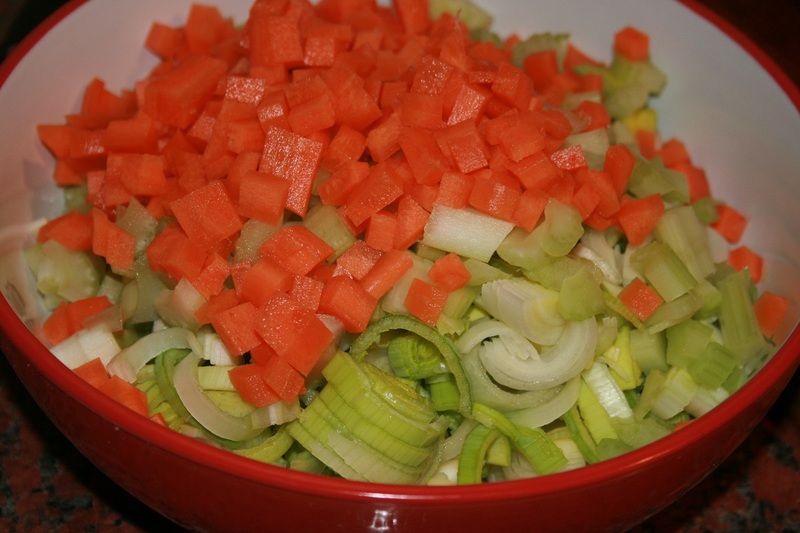 Each of these ingredients adds a beautiful level of flavour to the dish, the carrots add a soft sweetness and the celery a delicious pepperiness. 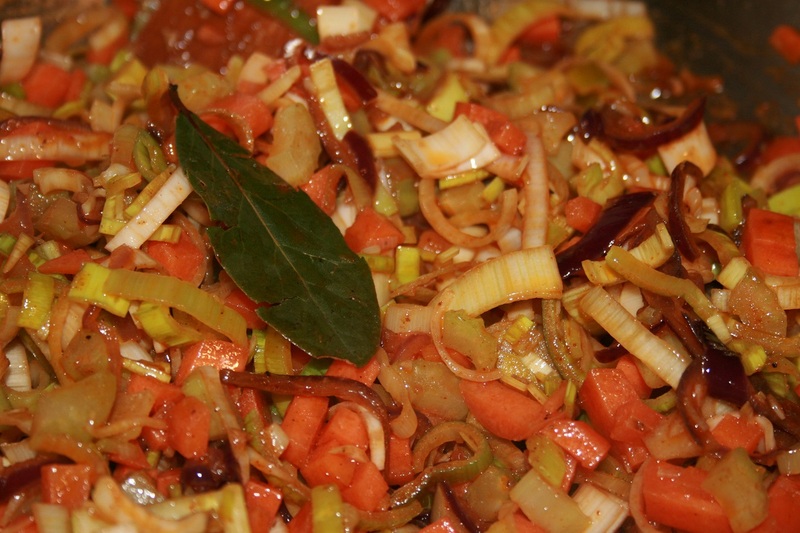 Add these ingredients along with the bay leaf to the onion mix and allow it to all soften together. 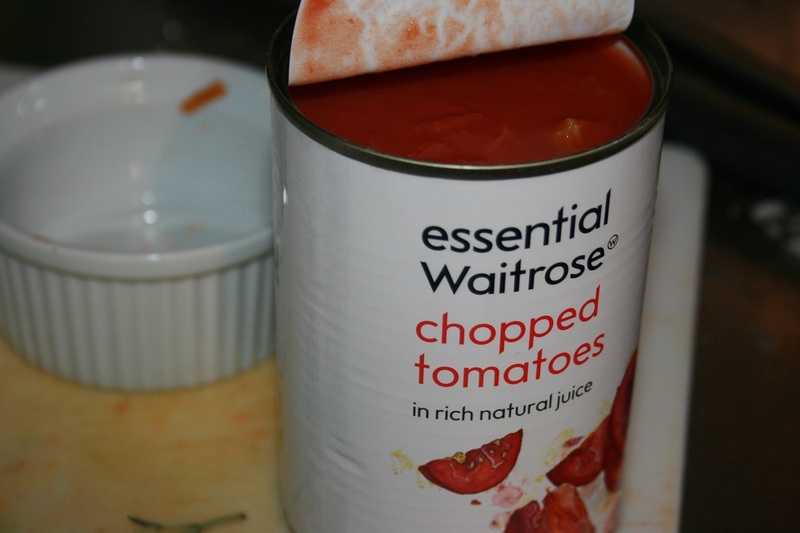 Open your tins of tomato and your chickpeas, add them to your veggie mix. 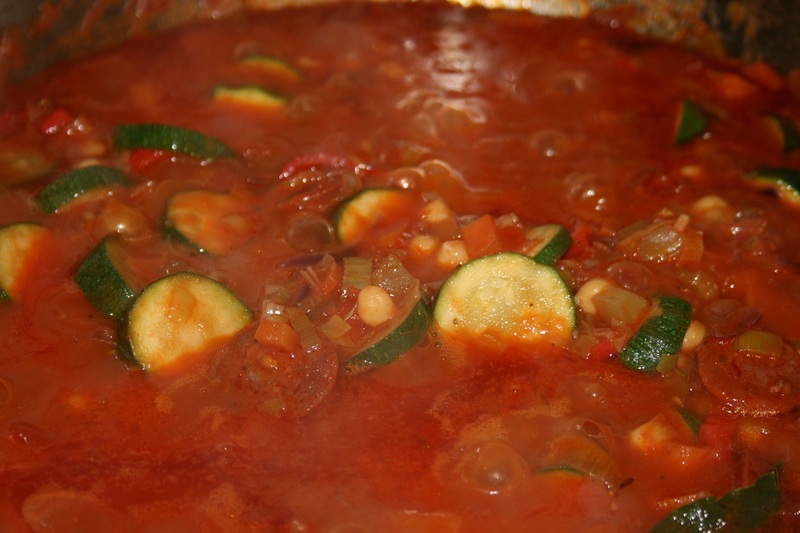 Bring your stew to the boil and allow it to thicken for about 10 to 15 minutes. Add the chicken and let it cook over a low heat for about half an hour. 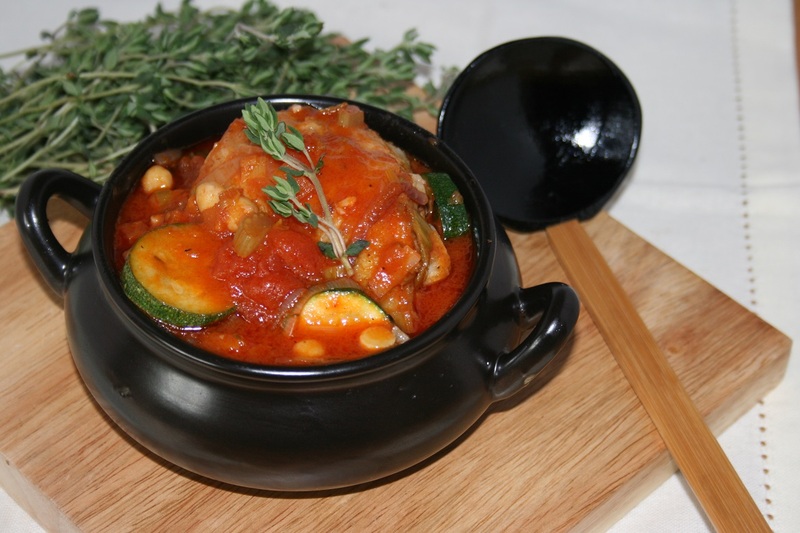 Serve with rice, cous cous or mashed potato! Enjoy.